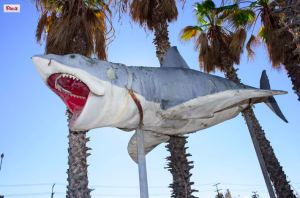 The Academy Museum announced today that it has accepted into its collection a major gift of the sole surviving full-scale model of the 1975 Jaws shark, donated by Nathan Adlen. The monumental Fiberglas model is the fourth and final version made from the original mold. Created for display at the Universal Studios Hollywood at the time of the film’s release, the prop remained a popular backdrop for photos until 1990, when it was moved to the yard of Aadlen Brothers Auto Wrecking, a firm in Sun Valley, California, that regularly bought or hauled used vehicles from Universal Studios. With the business slated to close in January 2016, owner Nathan Adlen has made a generous gift of the historic prop to the Academy Museum. The shark model will join the Museum’s unmatched holdings—including an underwater apparatus and fin used inJaws and Jaws II—as the largest object to enter the Academy’s collection to date. 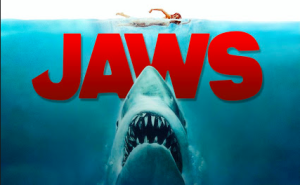 Directed by Steven Spielberg and based on the 1974 Peter Benchley novel, Jaws was an immediate critical and commercial success, and was selected by the Library of Congress in 2001 for preservation in the United States National Film Registry as a work of utmost cultural, historical and aesthetic significance. The creation of the film’s mechanical shark—which Spielberg named Bruce after his lawyer, Bruce Ramer—was undertaken by art director Joe Alves, who designed a prop with a 25-foot long body, 400-pound head and jaws nearly five feet wide. The mold yielded three latex and rubber casts that were used in production. Following the film’s release, the three rubber casts deteriorated and were discarded. But the fourth cast, made of Fiberglas for promotional use, has survived. In 2010, it was authenticated by Roy Arbogast, a member of the film’s special effects crew. The Academy of Motion Picture Arts and Sciences (AMPAS) is the world’s most prominent collector of moving image history, having acquired and preserved movie-related materials since the 1930s. In developing its highly immersive exhibitions, the Academy Museum will draw on materials that include approximately 62,000 pieces of production art—such as a Planet of the Apes mask, a model horse head made for The Godfather and the lion’s mane and ruby slippers from The Wizard of Oz—as well as some 12 million photographs, 55,000 posters, 80,000 screenplays, prints of 80,000 films and tens of thousands of books, periodicals, items of correspondence, scrapbooks and clippings files. The Academy Museum will feature a core historical exhibition and rotating temporary exhibitions, complemented by special projects, publications, digital initiatives and a slate of public programs that will include screenings, premieres, panel discussions, gallery talks and K–12 education initiatives. The Museum’s exhibitions and programs will convey the magic of cinema and offer a glimpse inside the dream factory, illuminating the creative, collaborative process of filmmaking. The Academy is currently raising $388 million to support the building, exhibitions, and programs of the Academy Museum. 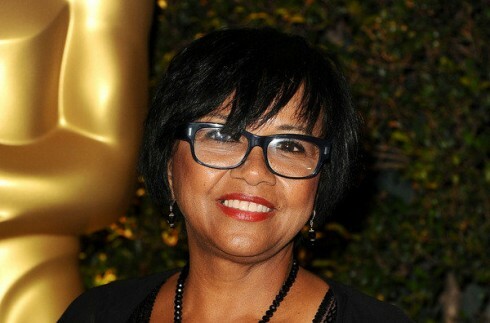 The campaign was launched in 2012, under the chairmanship of Bob Iger and co-chairmanship of Annette Bening and Tom Hanks. 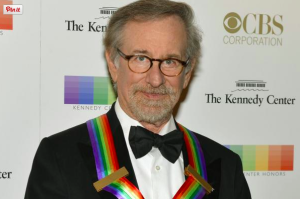 The Academy has already secured more than $250 million in pledges from more than 1,300 individual donors globally.